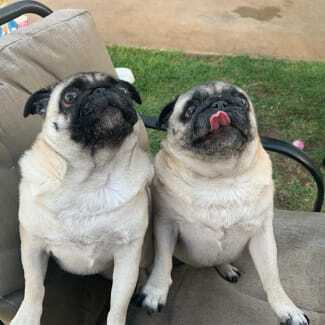 Pug Patrol Rescue Australia is a registered rescue charity committed to rescuing Pugs, Pug crosses and other brachycephalic breeds from abuse, neglect and exploitative breeding. Our experienced team of foster carers, veterinarians and administrators are committed to providing the best care for all our rescues. 🐾🐕🐾ATTN NSW/ACT: 'Agent Frank' is in search of his new forever home🐾🐕🐾 Frank recently came into our care through no fault on his own. Whilst in our care he has undergone his veterinary work which included brachycephalic surgery (soft palette reduction and nostrils widening), a dental, full blood test and other items. And he is now ready to find his forever home with a loving family. 💗 We know there is a family out there that would be a perfect match, is it yours? 🕵🏻‍♀️ Information about Frank: ▪️ AGE: 3 years old. ▪️ LOCATION: Sydney. ▪️ KIDS: Gets own well with kids, however jumps a lot up so may not suit smaller children. ▪️ CATS: Gets on well. ▪️ ONGOING TREATMENT: Frank has been diagnosed with Glaucoma in his eyes. He will require ongoing daily eye drops long term to ensure that he doesn't lose his eyesight. He will also a daily Glyde chew for joint support and to prevent arthritis in his left wrist. Frank will need a family that will to be committed to managing his weight to ensure it does not impact on his joints or on his breathing. 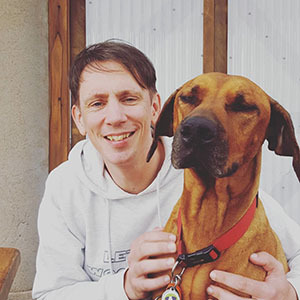 ⏲ ▪️IDEAL HOME: Frank loves to be part of the family and involved in day to day activities, even waiting in the bathroom for you to finish your shower!😂 He is a 'snuggle bug' and needs to have you in his sights at all times. 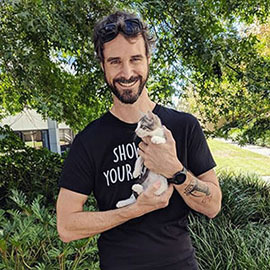 Frank needs a home where his human is home most of the time and needs the companionship of another four-legged friend (or two) for those short periods of being home alone. 🐶 Frank is house trained and knows his basic commands. He is great on a lead and loves his walks, as well as going to the beach. Frank enjoys the great outdoors but requires to be an inside Pug with access to the backyard. 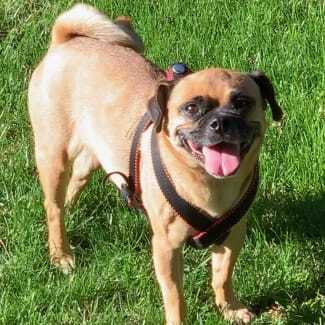 Frank is a larger Pug and can jump up quite a bit, so a home with older children and ongoing training will be best. If you believe you are able to provide our 'Agent Frank' with the loving home that he deserves ❤️, then we are interested in hearing from you. 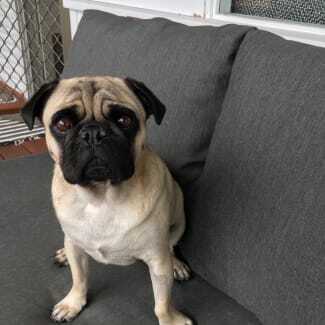 You can submit an application via the link below (please provide as much information as you can in your application): https://www.pugpatrolrescueaustralia.com.au/pug-adoption-application/ Please note:- Frank is not available for interstate adoption and only shortlisted applicants will be contacted. 🌞🐕❤️ ATTN NSW/ACT: Gorgeous Gus is on the lookout for his forever home 🌞🐕❤️ Gus came into our care not so long ago and whilst in our care he has undergone his veterinary work which included brachycephalic surgery (soft palette reduction and nostrils widening), a dental, full blood test and along with standard other items. And he is now ready to find his forever home with a loving family. 💗 Information about Gus: ▪️ AGE: 7 years old. ▪️ LOCATION: Sydney. ▪️ KIDS: Does not get on with young children. Would be suited to older children/teenagers. ▪️ CATS: Untested. ▪️ ONGOING TREATMENT: Gus has dry eye, therefore will require to be on Tacrolimus long term. Other than that he has no other ailments and is a very healthy and active boy. Gus will need a family that will to be committed to managing his weight to ensure it does not impact on his joints or on his breathing. ⏲ ▪️ IDEAL HOME: Gorgeous Gus will require a family that is active as he loves nothing more than going out for his twice daily walks. He is a super strong and an active Pug. Whilst he does get on with other dogs, Gus prefers the company of humans and would suit a family whereby someone is home often (eg. someone that works from home or an active retiree) as Gus would need to be re-homed as only pet.🐶 We know there is a family out there that would be a perfect match for Gus, if you believe you are able to provide Gus with the loving home that he deserves ❤️, we would like to hear from you. 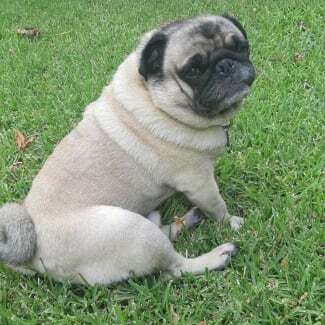 You can submit an application via the link below, providing as much information as you can: https://www.pugpatrolrescueaustralia.com.au/pug-adoption-application/ Please note:- Gus is not available for interstate adoption and only shortlisted applicants will be contacted.